On March 26, 2016, Bernie Sanders swept the Democratic caucuses in 3 states, including Hawaii, where Asian Americans and Pacific Islanders (AAPIs) account for TWO THIRDS of the state’s electorate (i.e., the eligible voter population). Then why did mainstream media ignore the potential role that AAPIs might have played in the Hawaii contests? See, for example, these stories from the New York Times and CNN, which make no mention of Asian American or Pacific Islander voters. One explanation is that there were no pre-election polls or exit polls done in Hawaii, which is perhaps understandable given that the state’s population is relatively small. Importantly, however, more than three times as many Democrats turned out in Hawaii as in Nevada, which featured both pre-election polls and exit polls. Even without the benefit of polls, however, mainstream news media could have done a far better job in covering the policy priorities, opinions, and endorsements of Asian Americans and Pacific Islanders in Hawaii. The same could be said of Washington state, which also held Democratic caucuses on Saturday. 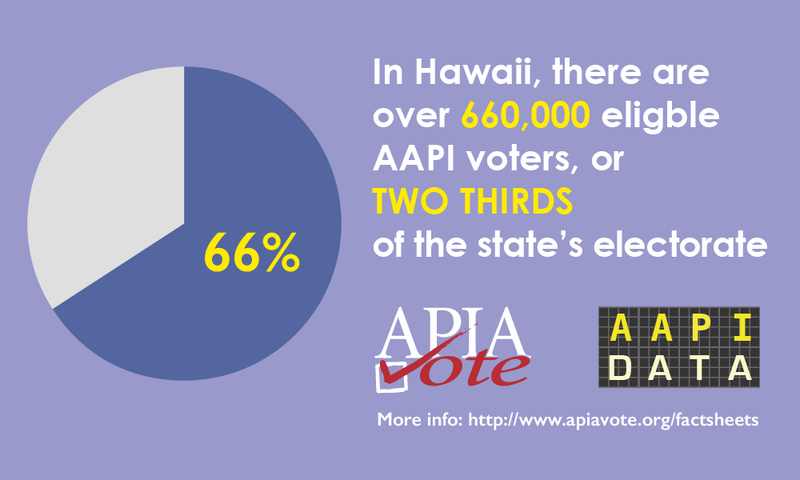 AAPIs account for nearly 8% of the electorate in the state. Indeed, many reporters would have jumped at the chance to travel to Honolulu or Seattle to cover these contests. Finally, even if mainstream news organizations don’t have the benefit of polling data in these states (which, really, they should be paying for and conducting), and even if they have not done significant research into endorsements and campaign activity, then at the very least they should take note of the demographic makeup of the state and not ignore its racial diversity. Hawaii is the most racially diverse state in the country, with very sizable populations of Asian Americans and Native Hawaiians and Pacific Islanders (who account for 56% and 26%, respectively, of the resident population). News outlets like USA Today, New York Times, and CNN should know better. And they should do a better job in covering the AAPI electorate in these states.